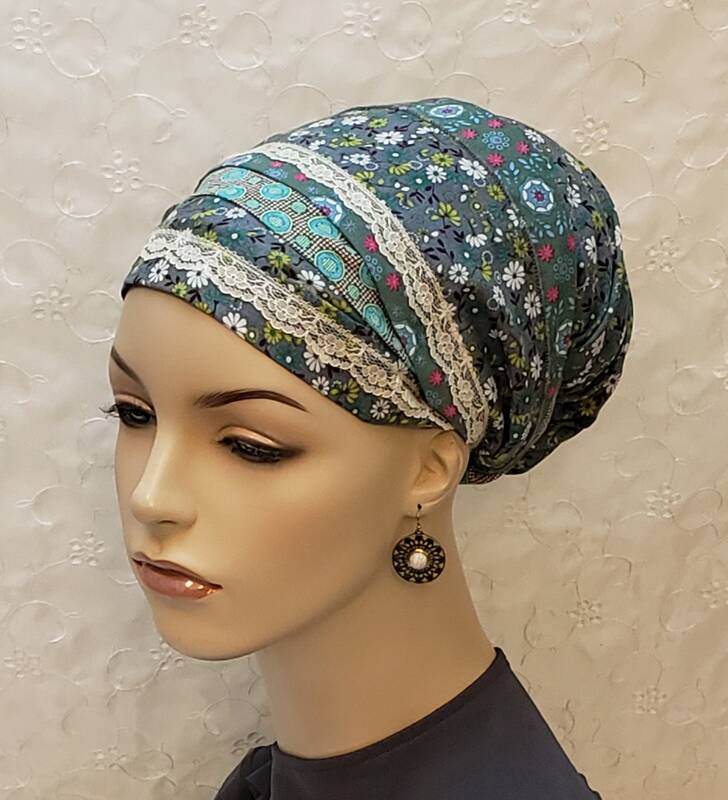 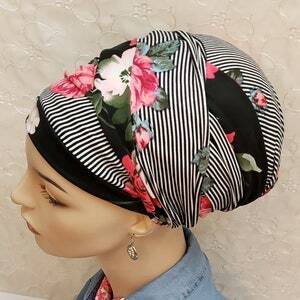 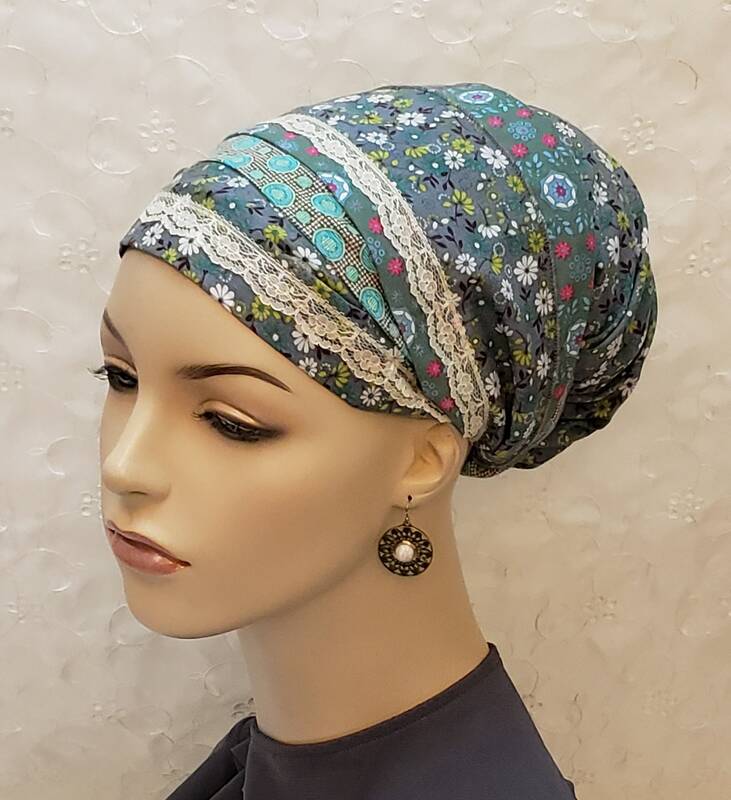 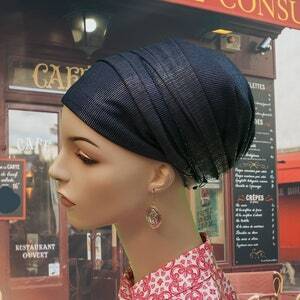 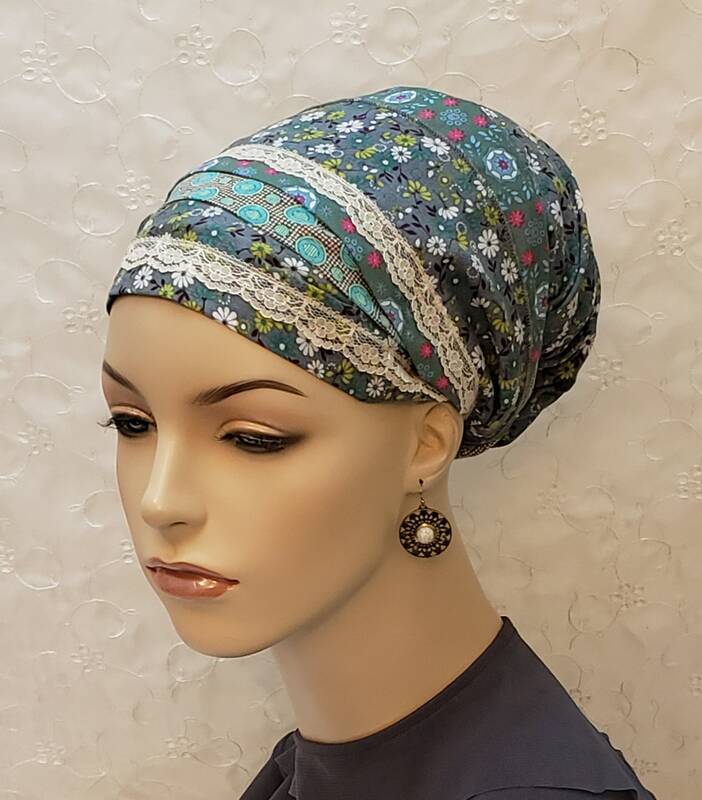 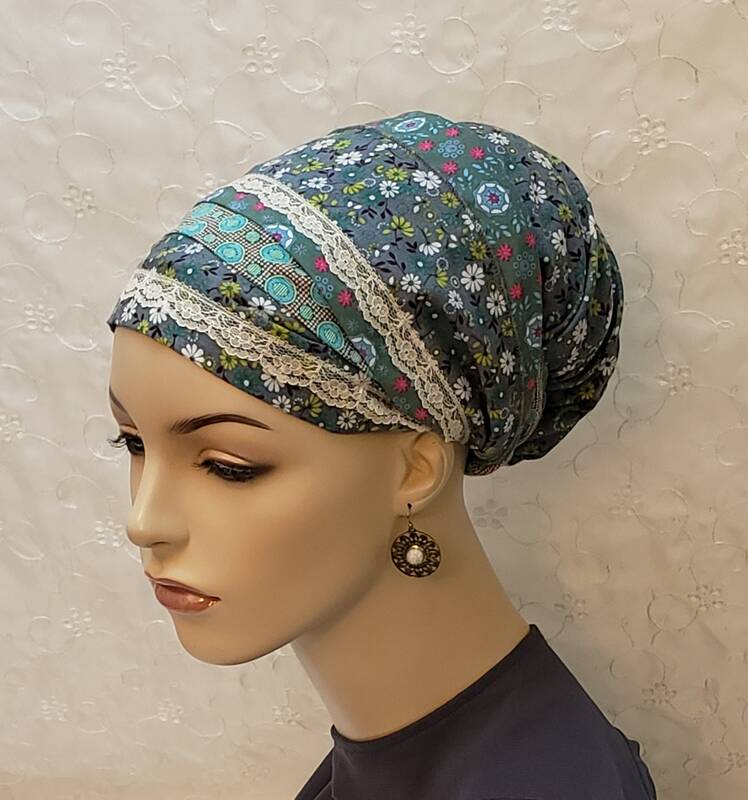 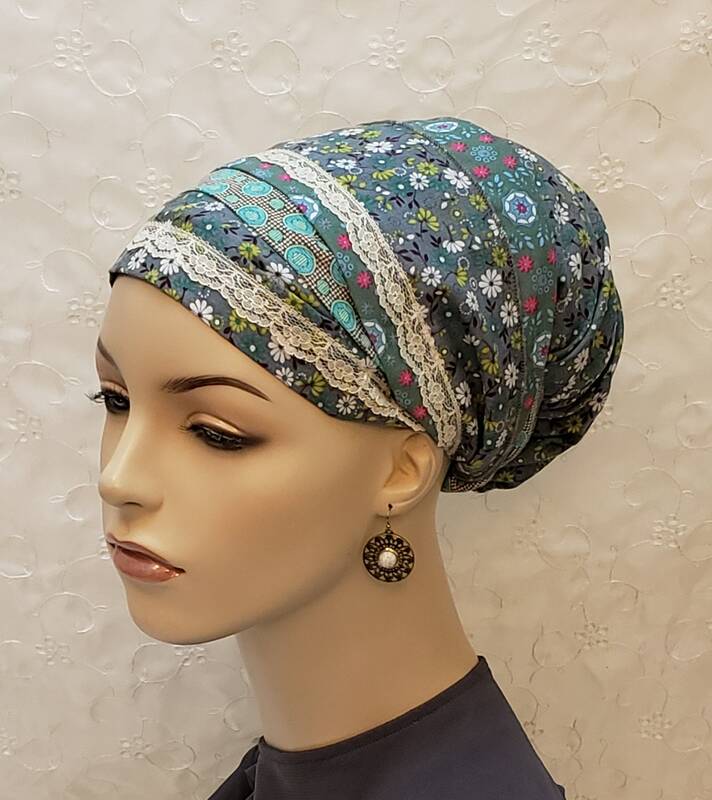 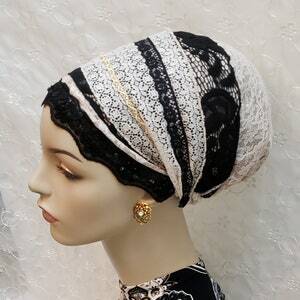 Pretty floral easy to wrap sinar tichel! 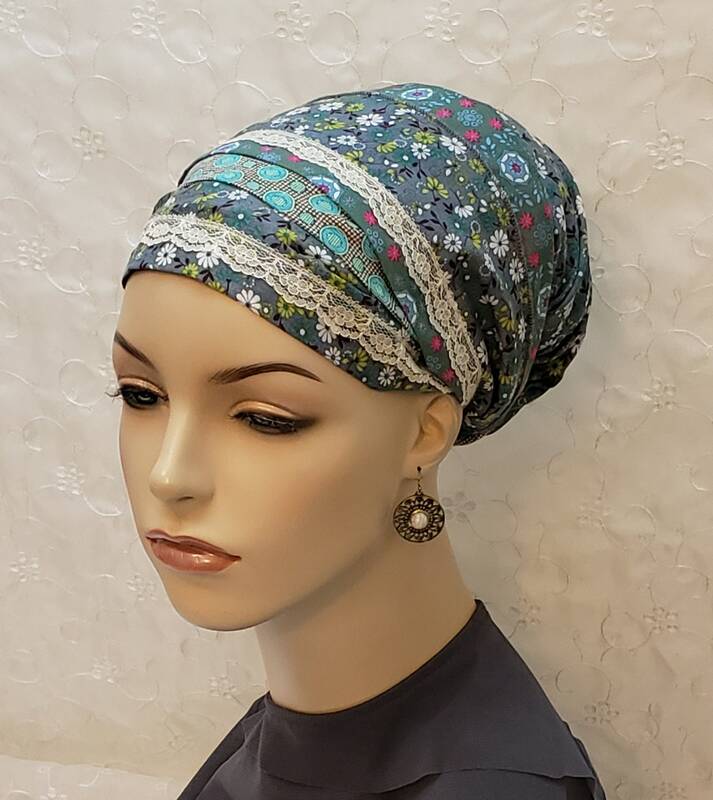 Soft and lightweight cotton in many pretty patterns in greenish gray. 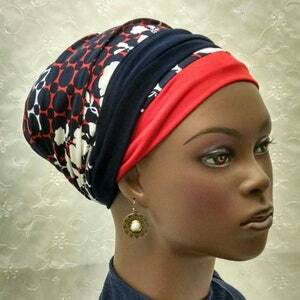 Perfect for everyday, work and outings!